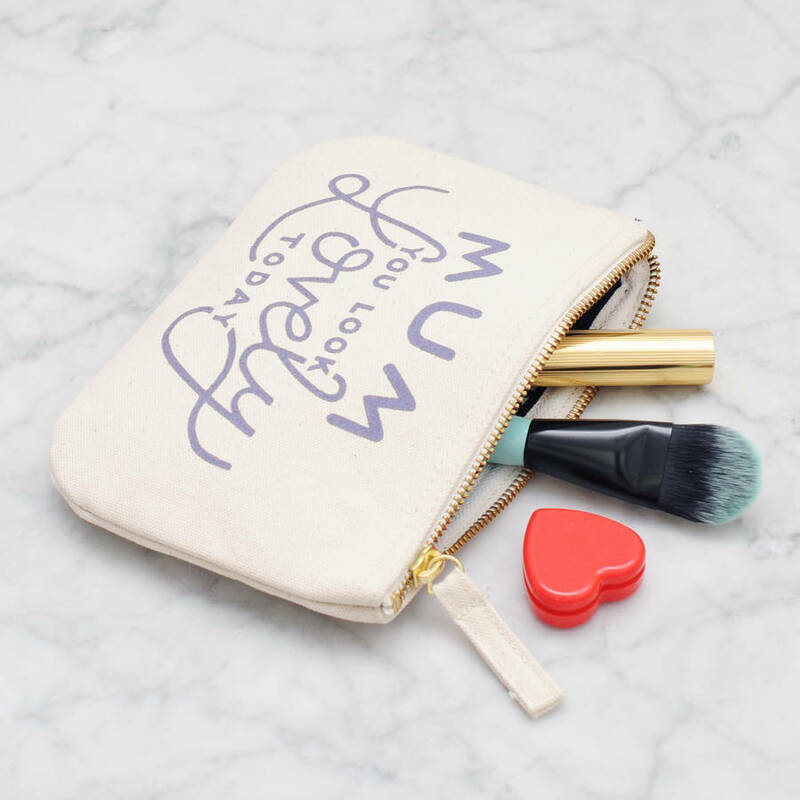 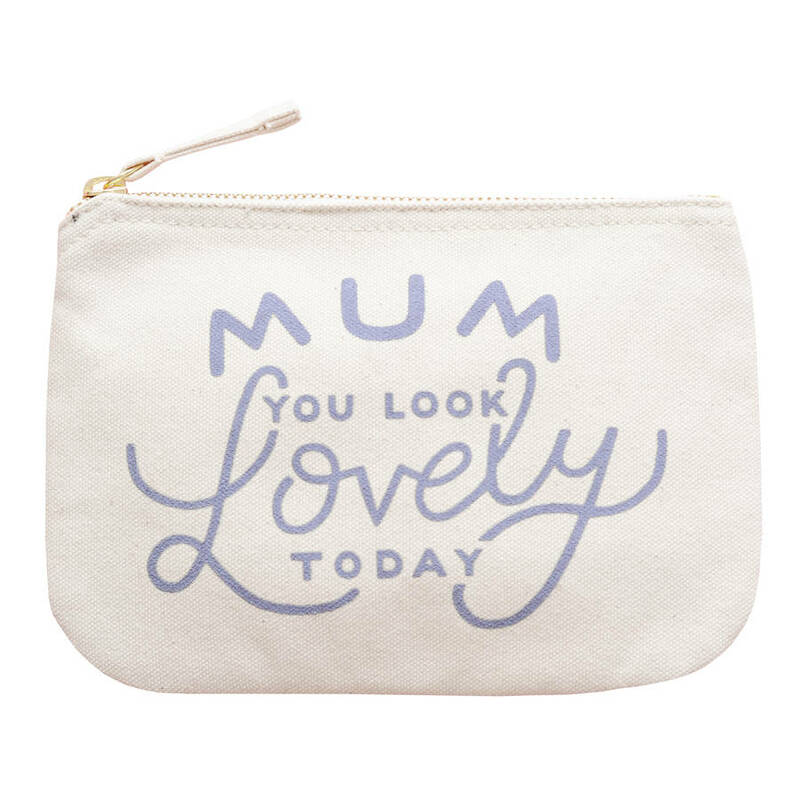 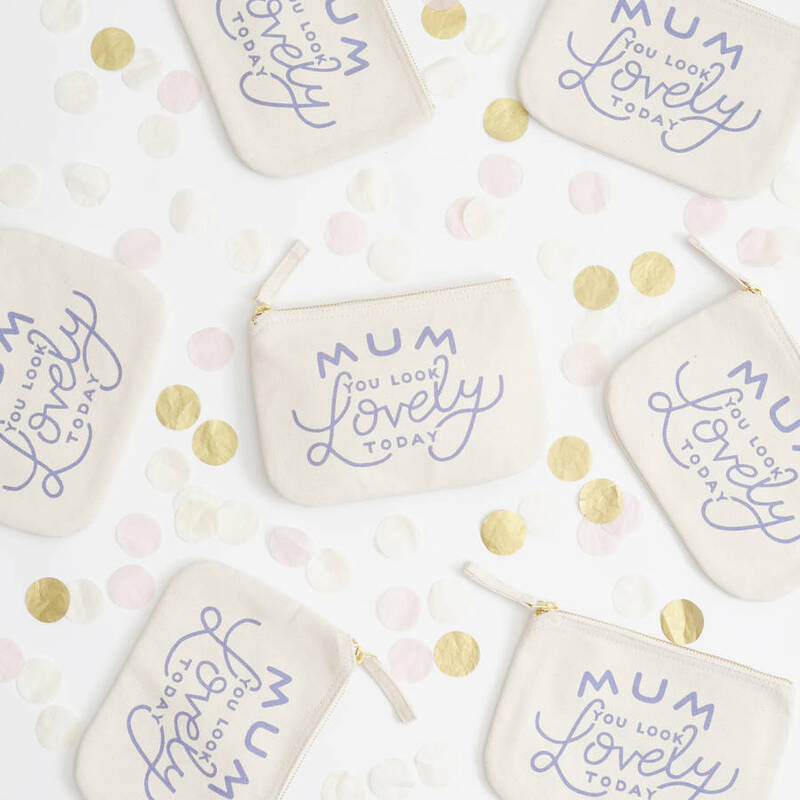 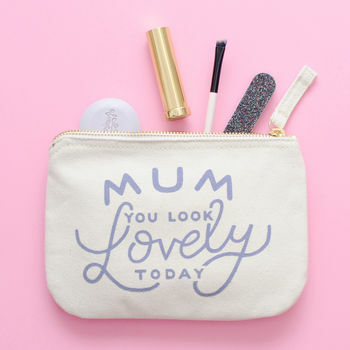 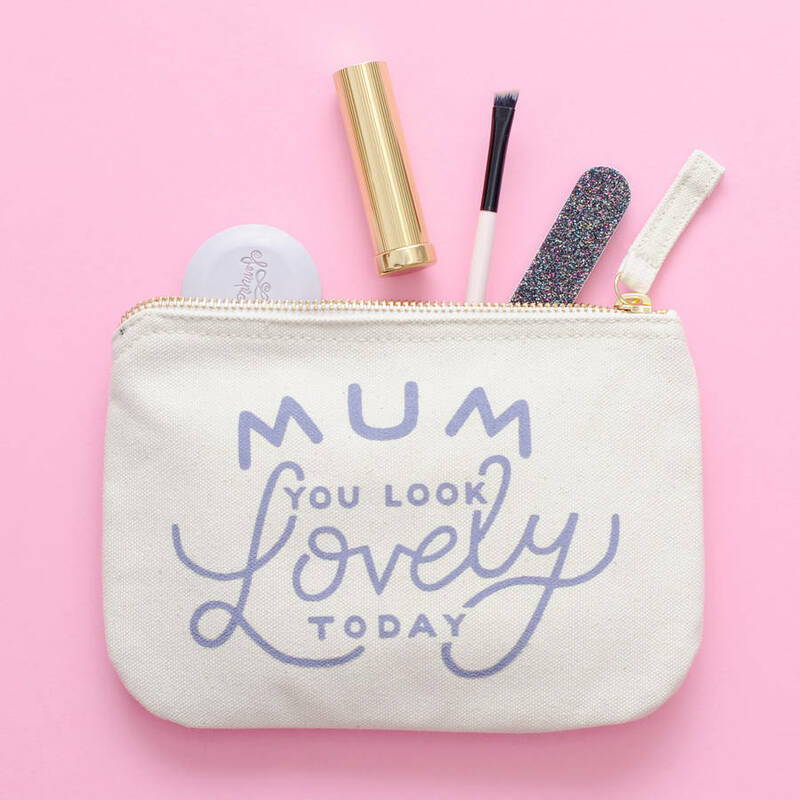 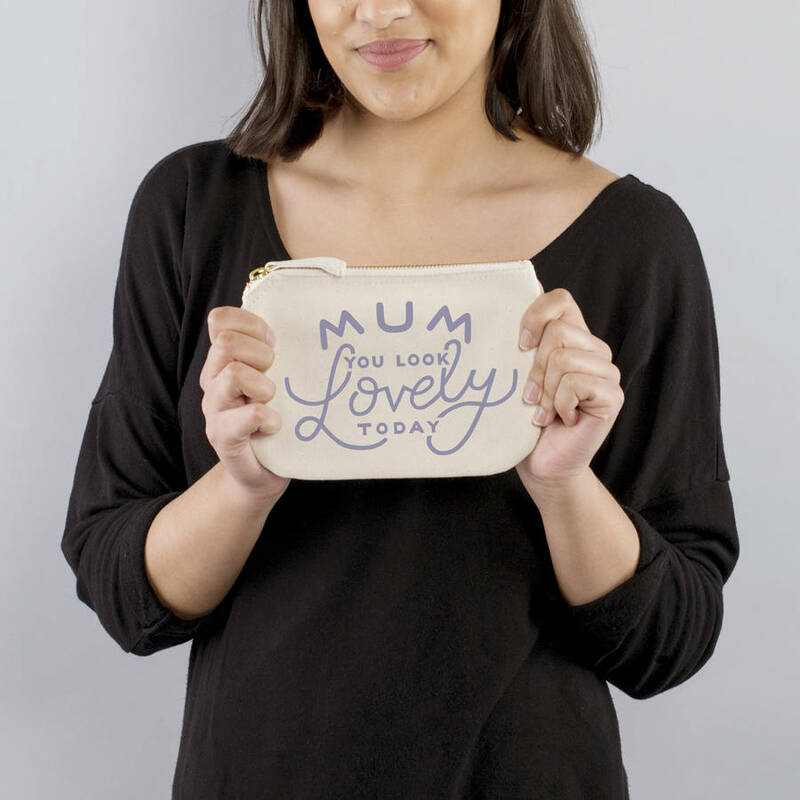 The hand drawn 'Mum You Look Lovely Today' design has been screen printed in lilac ink on a sturdy natural canvas pouch. 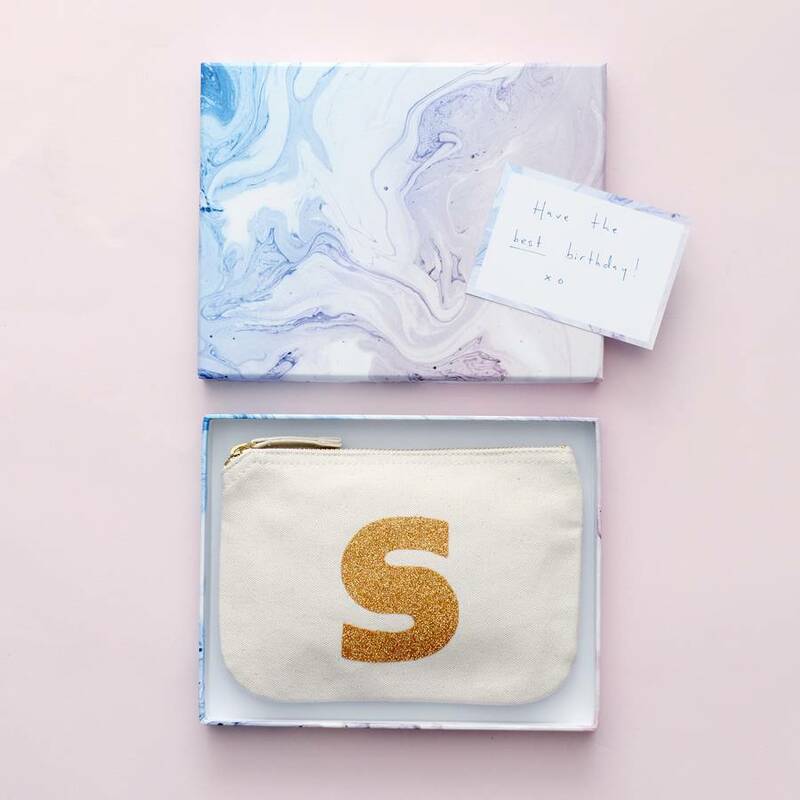 Heavy natural canvas with a black cotton lining and heavy-duty gold colour zip with canvas zip pull. 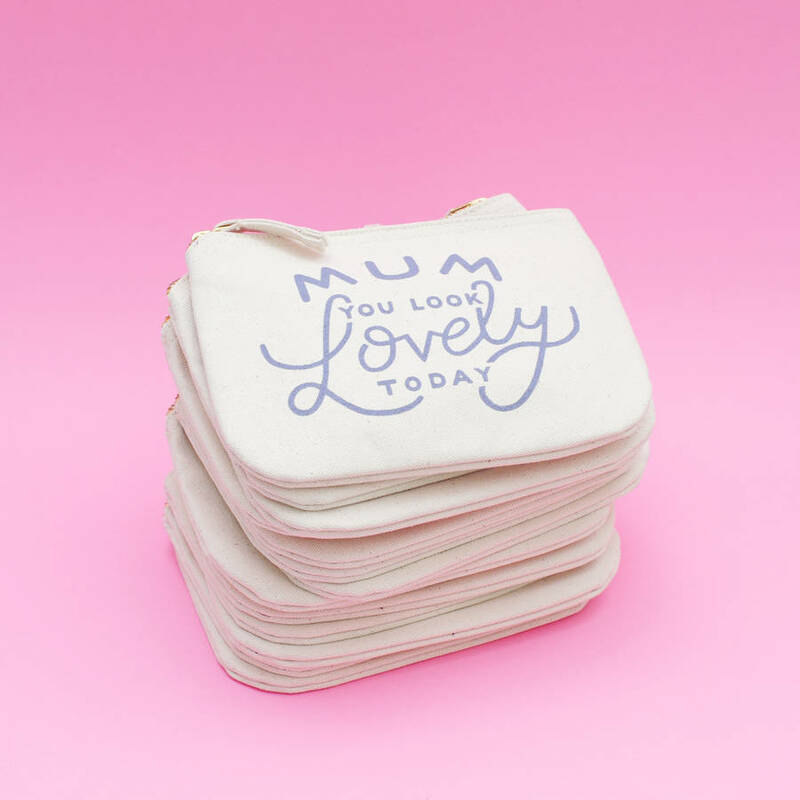 Screen printed in lilac ink.